The variance is the "average square deviation of the individual results to their average." Interpretation of variance is difficult due to the fact that the (denominator) unit is a squared, in which the given characteristic is measured - it can be stated that the higher the variance, the greater the diversity of the population with the trait. Accordingly - much more reliable measure is the standard deviation -the square root of the variance. In this situation, the interpretation is simple, because the standard deviation does not square the units . It indicates how many average values deviate + / - from the arithmetic mean. Value1, value2, .. . is from 1 to 255 argument values that correspond to the sample population. How to add a new WorkSheet in Excel Workbook? In Excel, instead of putting everything in one Sheet, you can sort out the information and distribute it in several sheets. Therefore, you may need to add a few or even several new sheets. Right-click the sheet tabs, and then select INSERT from the shortcut menu. INSERT window open. Activate the GENERAL card. Then click the Wroksheet icon and click OK.
To rename a sheet you have to double click its tab. 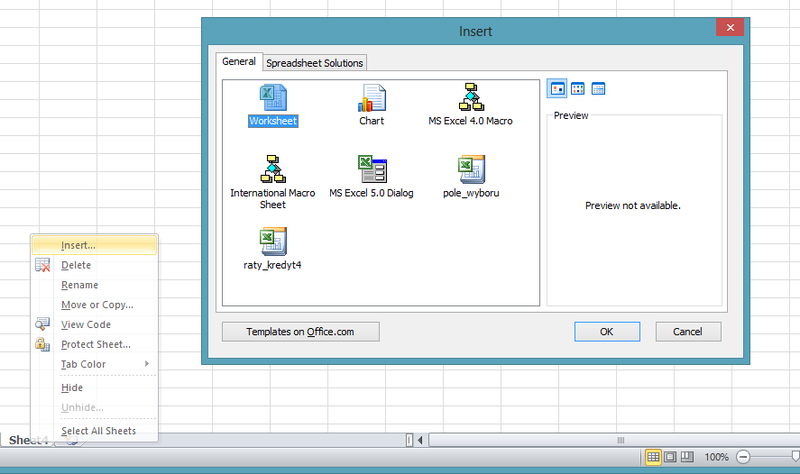 Excel highlights the worksheet name, so that it can be modified or replaced with a new one. Sheet name can contain up to 31 characters, including spaces. How to create a numbered list in Excel? 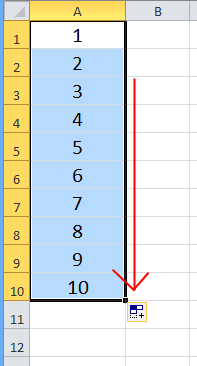 Excel automatically enters the numbers in the selected area when the mouse button is released - will increase the value in the next cell on the difference between the numbers in cells A2-A1, etc. How to calculate loan rates in Excel? To calculate the payments of a loan in Excel, you can use a simple formula PMT which calculates the amount of the loan or the loan based on constant payments and a constant periodic rate of interest. Fv - is the future value, or a cash balance you want to attain after the last payment is made. If fv is omitted, it is assumed to be 0 (zero), that is, the future value of a loan is 0. Type - is the number 0 (zero) or 1 and indicates when payments are due. How to connect multiple cells in Excel text ("&" character or CONCATENATE)? How to connect multiple cells in Excel text? To link text cells in Excel you can use the concatenation operator - character "&" or function CONCATENATE (arguments)? a Standard Deviation in Excel? In statistics and probability theory, standard deviation (represented by the symbol sigma) shows how much variation or dispersion exists from the average (mean), or expected value (read more on wikipedia). The standard deviation is calculated as the square root of the variance. Thus, the designation of the variance can be regarded as an intermediate step to calculate the standard deviation. 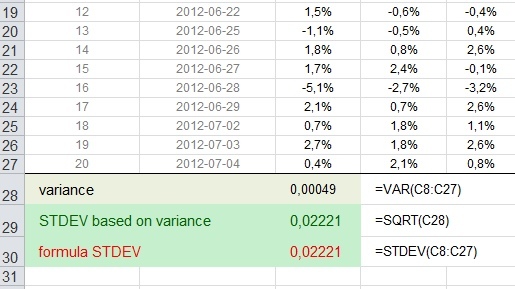 In excel there is a function that directly from the data (sample) calculates standard deviation. Number1, number2, ... are 1 to 255 arguments corresponding to a sample of the population. Instead of arguments separated by semicolons, you can use a single array or a reference to an array. The following figure shows the calculation in excel in two ways.